First Floor Golf Villa located in the most desirable area of Turnberry Park. Close to pool, hot tub and Pub. This unit has been used strictly as a second home and is in great shape with tons of upgrades.Kitchen has new appliances, kitchen knobs and solid surface counter tops, hot water heater, remodel windows and HVAC system The foyer entrance hall here modeling with designer tile plus ceiling fans have been added in all the rooms. Enjoy the morning sunrises from this corner end unit with a mature landscape yard, a spacious back patio with views of the golf course and small water features.This is a smaller building of 4 units, parking at the front door.On location are three courses and 35 acres of practice range. The Legends Resort does offer a rental division if you wish to rent out your unit while you’re not using it.Close to the beach but far enough out to enjoy peace and quiet of 1300 area Resort. BEING SOLD FULLY Furnished. 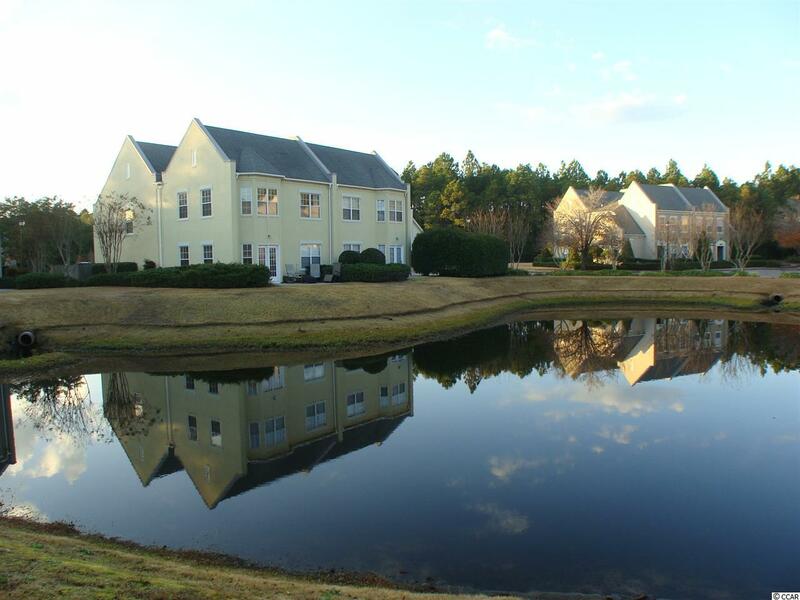 Next Next post: C 4402 waterview ct in Gleneagles, Myrtle Beach is Sold!